Wahaca Liverpool is teaming up with popular Liverpool bar El Bandito and the Graffiti Spirits Group to launch a 3 month rooftop bar residency above its restaurant off Hanover Street, in the heart of Liverpool this October. The collaboration, a first for both groups, will see El Bandito transform Wahaca Liverpool’s rooftop bar into a new home for the North West’s best Mezcal and tequila-based cocktails, set in a unique 1st floor bar space with access to an outdoor terrace above Wahaca’s restaurant. 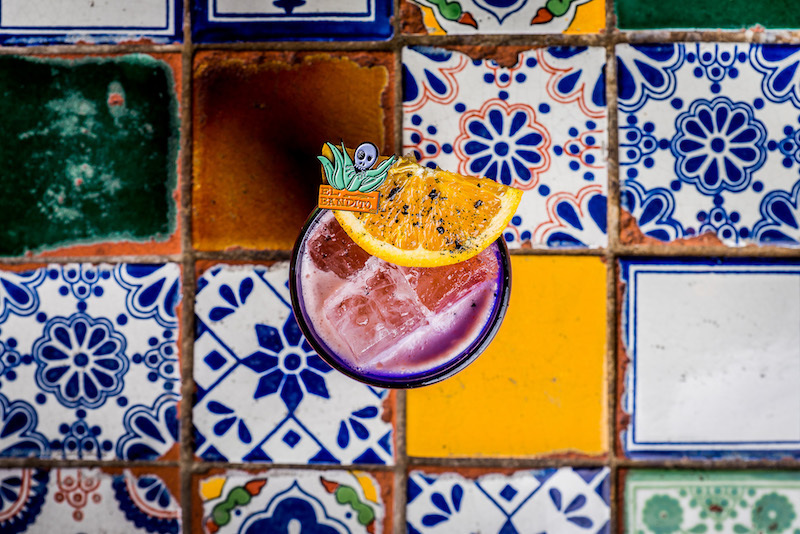 El Bandito at Wahaca was created out of a joint love of Mexican food and drink, and a passion for spreading the word about this incredible cuisine and the drinks Mexico has become famous for. The bar will be serving a bespoke list of cocktails created by the team at Graffiti Spirit Group for the residency with drinks such a Pre-Aged Mezcal Negroni and a Nitro Espresso Martini alongside classics such as El Bandito’s much-loved Roots of Agave and fruit infused Margaritas. The cocktails will be complemented by the Mexican street food menu available at Wahaca downstairs as well as a selection of bar snacks. Fitting with Wahaca’s strong sustainability credentials and announcement of becoming the UK’s first carbon neutral restaurant group, the El Bandito rooftop bar will be Zero Waste, sourcing and recreating ingredients to ensure nothing is sent to landfill. El Bandito is the brainchild of business partners John Ennis and Matt Farrell, who recently enjoyed a successful pop up in London that caught the attention of Wahaca founders, Thomasina Miers and Mark Selby. Through this partnership, Wahaca (now celebrating over 10 years at the forefront of UK eating out scene with over 25 sites nationwide) hopes to offer customers a new and exciting way to enjoy Mexican drinks, from one of the UK’s hottest bar concepts.